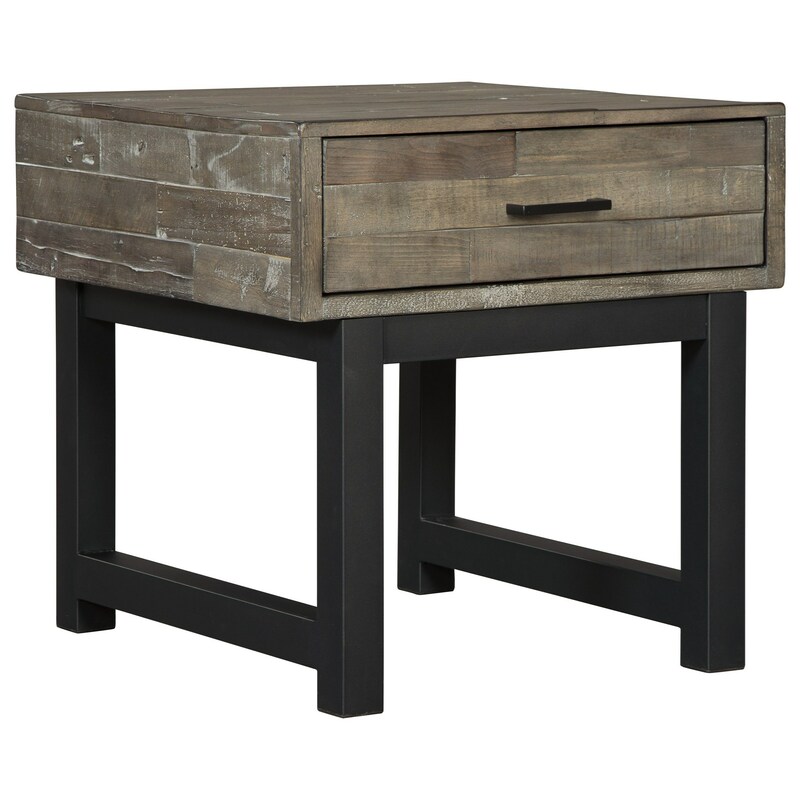 The combination of gray-toned reclaimed wood and a darkened steel base creates a modern industrial look for this end table. Equipped with a spacious drawer for all your living room essentials, this piece will bring welcomed warmth and functionality to your space. The Mondoro Industrial Square End Table by Signature Design by Ashley at Furniture Mart Colorado in the Denver, Northern Colorado, Fort Morgan, Sterling, CO area. Product availability may vary. Contact us for the most current availability on this product. Case Detail Base is a heavy linear metallic frame that gives off an industrial vibe. The use of mixed materials - reclaimed solid wood and metallic metal bases - creates an industrial vibe that allows these occasional tables to look great in any modern home. The Mondoro collection is a great option if you are looking for Industrial furniture in the Denver, Northern Colorado, Fort Morgan, Sterling, CO area. Browse other items in the Mondoro collection from Furniture Mart Colorado in the Denver, Northern Colorado, Fort Morgan, Sterling, CO area.